In the middle of the penumbra, at the edge of this impressive fall, the lighthouse of my friend Olivier illuminates the almost vertical wall. 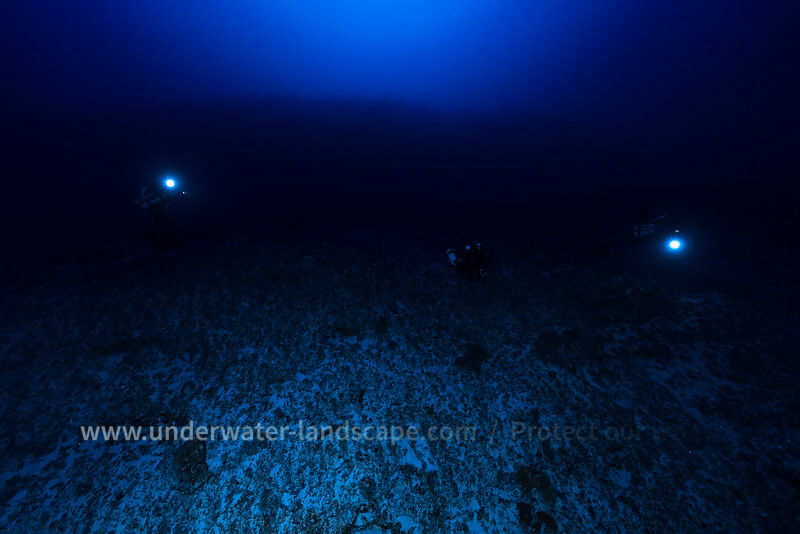 Above us, 100 meters of water separates from the surface. 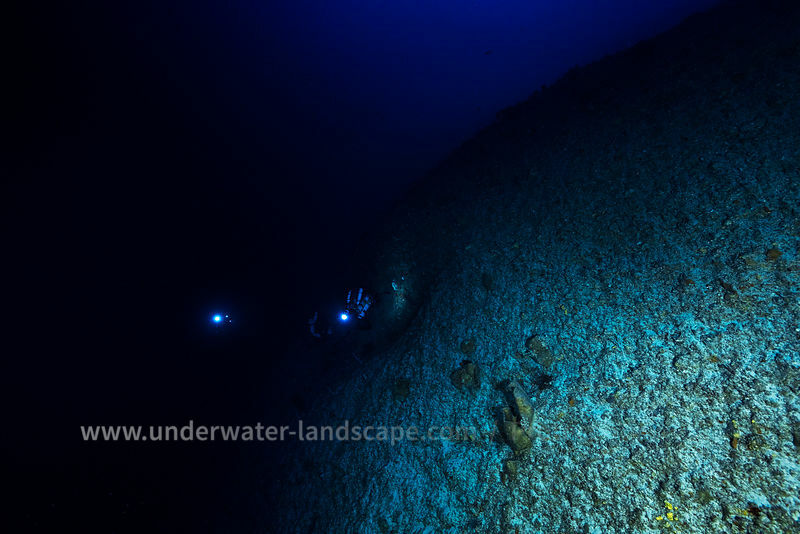 Below us, a mu that goes down more than 200 meters deep. The atmosphere is mystical, as if we were in another world, and it's a real. Panorama composed of 7 photos for 240 million pixels.